BURLINGTON, VERMONT Bernie Sanders, the man who is leading in New Hampshire and giving Hillary Clinton a run for her money in Iowa, is coming to terms with a new reality: The media is taking him seriously. Since launching his campaign last May, Sanders has received vastly less media attention than his chief Democratic opponent, while his chances of becoming the party’s nominee were largely dismissed by pundits and commentators — despite the fact that, like a certain senator before him, he draws far larger crowds, boasts a remarkably enthusiastic volunteer base, and, though he doesn’t have as much money as Clinton, set an all-time record with more than 2.3 million campaign contributions last year. Now, with Sanders climbing in the polls two weeks before the Iowa caucuses — and likely to maintain momentum after a strong debate performance on Sunday — the mainstream media is racing to catch up to a phenomenon that has been abundantly clear to backers, donors and the progressive media for nine months. The failure to anticipate Sanders’ rise points to a deep flaw with American political media, journalists and campaign strategists told CNN: Despite being proven wrong time and time again, many commentators and reporters continue to cling to an unshakeable faith in the conventional wisdom about the campaign while often ignoring realities on the ground. In this case, conventional wisdom held that Clinton would waltz to the Democratic nomination without being seriously contested. The only thing that could possibly get in her way was Vice President Joe Biden (who ultimately decided not to run) or her own controversies. But a grumpy 74-year-old Democratic socialist from Vermont with a bag full of expensive left-wing policy nostrums? Not a chance. The presidential campaign has been rife with such examples of faulty establishment media-think, from the early insistence that Jeb Bush would be the Republican candidate to beat to the oft-repeated claim that Donald Trump’s latest incendiary claim was political suicide. “Pundits and the press have been wrong about just about everything this cycle, and this falls into that category,” Dan Pfeiffer, a former senior adviser to President Barack Obama who now serves as a CNN contributor, said of Sanders’ rise. “People did not pay as much attention to him or take him seriously in the beginning because he is an older politician from a small state who they did not know much about,” said April Ryan, the Washington bureau chief for American Urban Radio Networks. The dismissal of Sanders, including on occasion by CNN as well as other outlets, is especially palpable for his supporters, who feel like the candidate was written off because of both his temperament and his political beliefs. 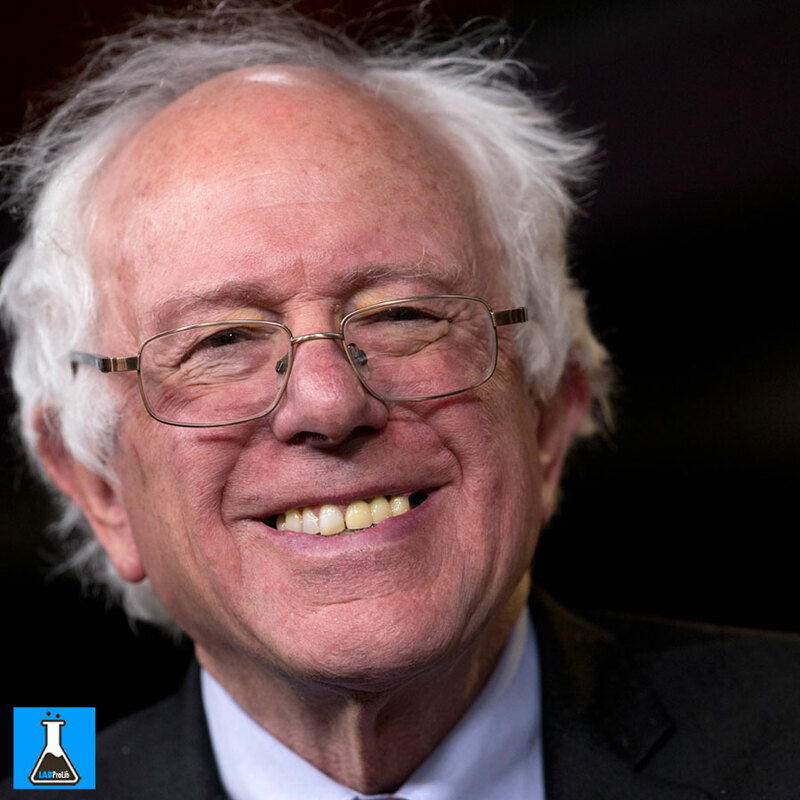 When Sanders announced his bid, a Washington Post profile described the “unlikely presidential candidate” as “an ex-hippie, septuagenarian socialist from the liberal reaches of Vermont who rails, in his thick Brooklyn accent, rumpled suit and frizzy pile of white hair, against the ‘billionaire class’ taking over the country.” The New York Times — which had afforded its front page to similar candidacy announcements from Clinton, Donald Trump, Ted Cruz and others — buried the Sanders story on page 21. Sanders, however, immediately began drawing thousands of supporters, and then tens of thousands, to his rallies. The media acknowledged the large crowds, but the Sanders campaign felt that pundits came up with endless ways to dismiss their importance. “Wherever we went, there was always an explanation about why what we were doing seemed to be significant, but really wasn’t,” Weaver said. It wasn’t that there weren’t reporters or cameras at these events, Weaver explained. It was that, very often, none of the coverage showed up on the front page or on television. If you looked to the mainstream media, he said, you would have no idea that Sanders would one day be running even in Iowa or leading New Hampshire. Weaver noted two exceptions: Local media, which he said did a much better job of focusing on policy over process; and the progressive media — but neither of those could rival the overwhelming national narrative that Sanders was merely an also-ran. Many reporters, who asked to speak on background so as not to offend their news organizations or their colleagues, agreed. Now that Sanders is a real contender in some early states, he is forcing the media to recognize the vast liberal base that exists to the left of the Democratic establishment, much as the rise of the tea party forced the press to focus on the vast conservative base to the right of the Republican establishment. Weaver also believes the media has an inevitable pro-Clinton bias because so many of the “Democratic consultants” who serve as pundits have relationships with the Clintons. If there was a moment in 2015 when Sanders could have wrested control of the media’s narrative, Weaver said, it was in mid-October, when the Democrats met for their first debate, Biden was eyeing getting into the race, and Clinton was called to testify on the 2012 Benghazi attacks. But Clinton acquitted herself well in the debate and during the day-long congressional testimony and Biden decided not to run. Sanders, again, appeared an unworthy challenger. Several journalists on the campaign trail also conceded that the media had been too consumed by Donald Trump and the seismic Republican primary race that is dividing the GOP. Trump’s dominance, the establishment’s fear and disbelief, and the emerging fight for an alternative — coupled with the belief in Clinton’s inevitability as the Democratic nominee — drew much of the media’s attention away from the Democrats. “The incredible and uncontrollable obsession with all things Trump has moved almost all of the scrutiny and focus to the GOP side of the equation once Clinton survived the Benghazi hearing and Biden dropped out,” Pfeiffer said. Now that Sanders is giving Clinton a run for her money in Iowa and New Hampshire — although he still trails badly in national polls, including one by NBC released Sunday that found Clinton with a 25-point edge — things are changing. At the Hotel Vermont, CBS’s John Dickerson was there to interview Sanders for “Face The Nation” — while Bloomberg’s John Heilemann was busy setting up cameras for his own interview. “I’ve never been in an avalanche, but I’m beginning to think I know what it feels like,” Michael Briggs, Sanders’ spokesperson, said of the media requests he was receiving. But whether Sanders can win the nomination may be beside the point. The fact may be that, after being written off by the media, the 74-year-old Democratic socialist from Vermont is threatening to take both Iowa and New Hampshire from Hillary Rodham Clinton, a towering political figure with unparalleled experience, vast financial resources, and the backing of the Democratic establishment. In other words, Sanders has come a long way from Page 21 and “the liberal reaches of Vermont” — and the media is finally taking note.